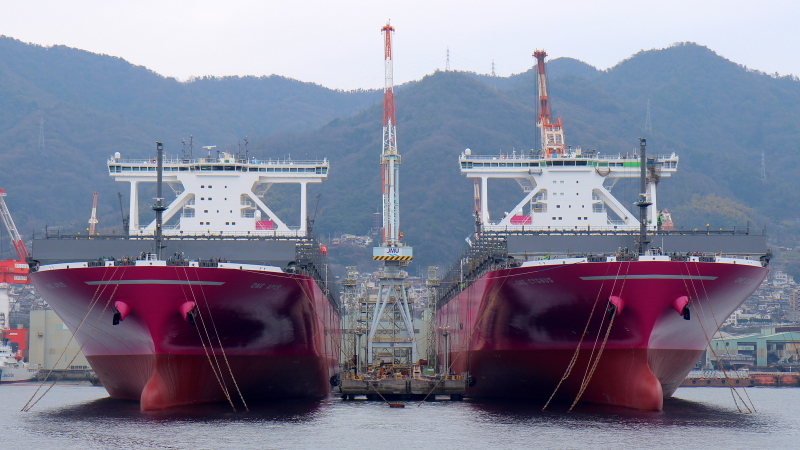 From my recent trip to Japan, a pair of magenta ships: two new ONE container carriers, "ONE Apus" & "ONE Cygnus". Fitting out at JMU shipyard. Thanks, Phil. I was missing the one for the "Cygnus". Thank you for your kind words, Cedric! Perfectly framed shot, thanks for sharing! Thanks for your comment, Roy. Nice catch as always. These should be the last ones. This photo has been shown 1,442 times since it was added to the site.